Sometimes Chinese names for dishes are so lyrical that the reason behind its title is perplexing, as what lands on your table looks nothing like the name. However sometimes you get a glimpse of the genesis of a name and realized the originator of the dish was not drunk on baijiu. The bulbous wontons that floated on the surface of my soup did resemble edible fluffy clouds in my bowl. 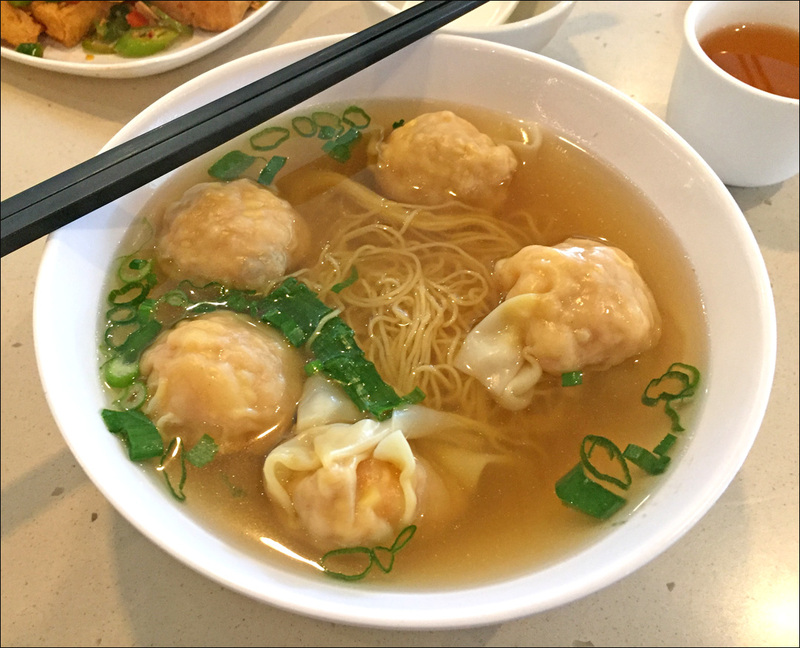 I was lunching at the Neptune Restaurant Group’s new outpost at the revamped Station Square in Metrotown and my order of wonton noodle soup looked delicious. The soup had a reassuring seafood aroma, which I expected since Neptune does offer a higher end dinner service – a good base Superior stock would be required for some of the dinner seafood dishes they serve. The soup was very savoury, accented with the concentrated funkiness of dried seafood (shrimp, fish). 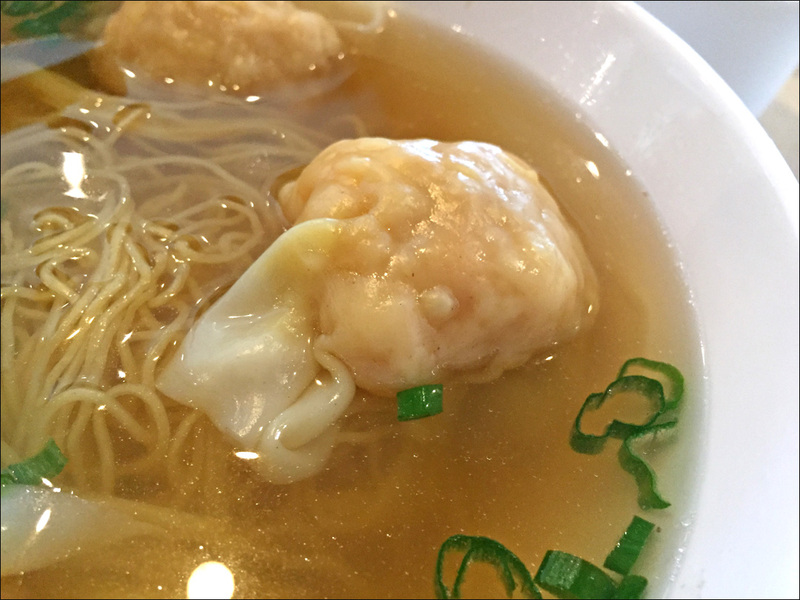 The boldness of the broth was matched by the flavour inside the wonton – a strong sharp shrimp flavour. These buoyant morsels had a nice snappiness to them. The noodles were a bit soft but I will own up to the fact I took a little longer than usual to snap photos which definitely affected the carby strands’ texture. In the moment, the wonton noodle soup at Neptune was fantastic. However, as time passed from the meal, I started getting a headache and was extremely thirsty. Neptune unfortunately was very heavy handed with their use of MSG, which I’m sensitive to. To round out the meal, I tried Neptune’s version of Chui Chow duck and salt & pepper tofu. 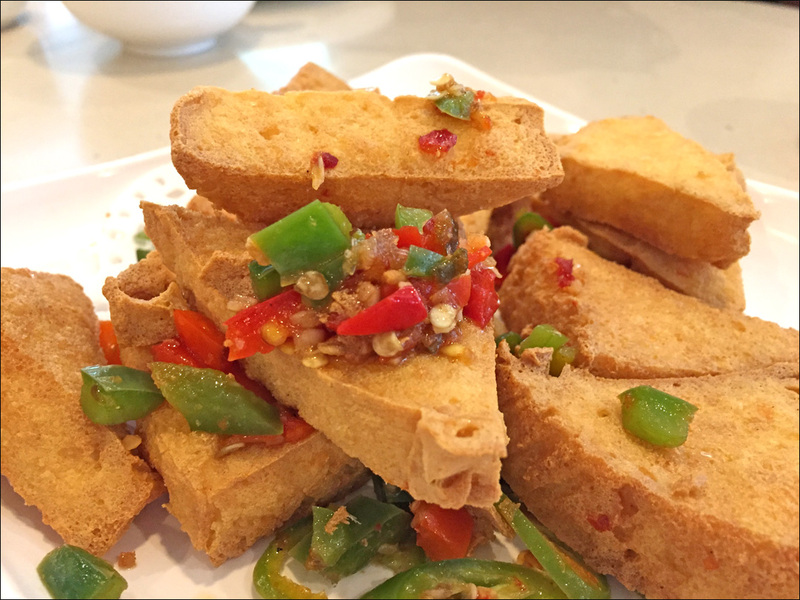 The correctly seasoned tofu had the right exterior and interior texture – crispy on the outside, silken smooth on the inside. 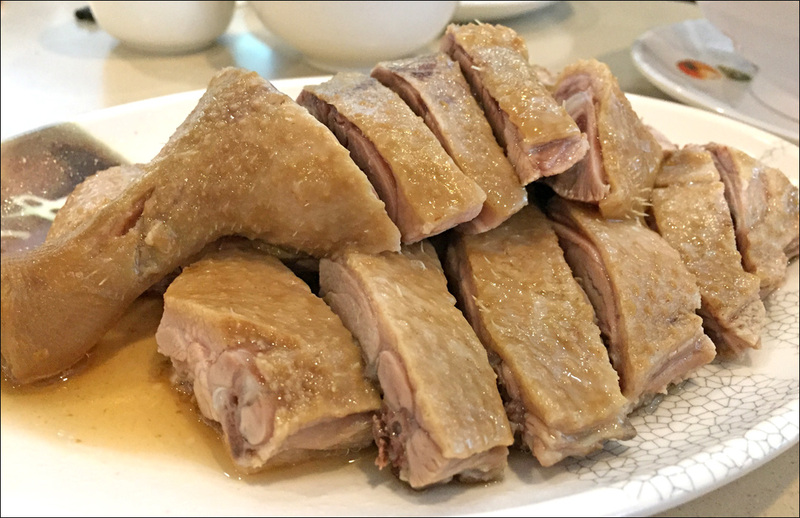 The Chui Chow duck, which I prefer over Chinese Roast Duck, had soft tender meat. However I felt the soy sauce marinade used to braise the poultry didn’t have any distinguishing notes and was flat against the gamey duck meat. In the end, both dishes were adequate but not spectacular. I had high hopes that the new Neptune in Burnaby would be my new go to place for a great bowl of Wontons. Many, who were familiar with my wonton saga, had recommended this chain. It was disappointing to have a seemingly wonderful wonton experience devolve into a MSG fueled migraine. 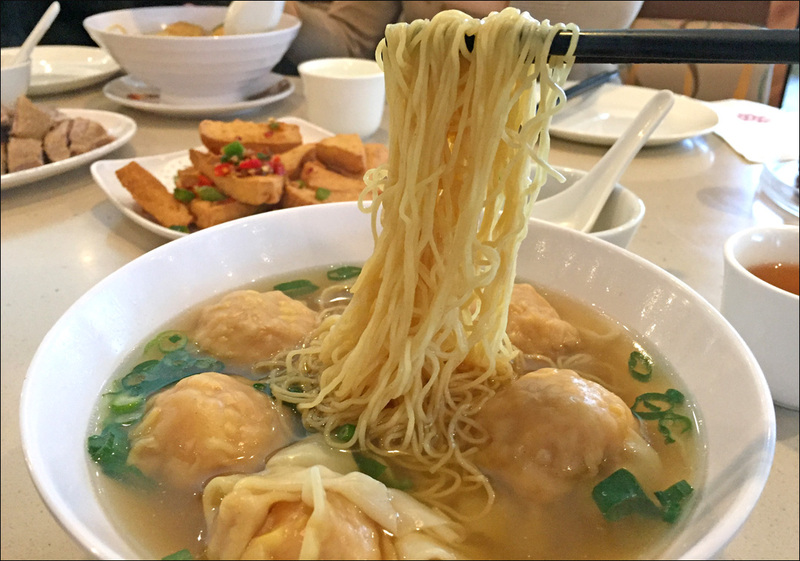 I will simply have to continue to trek to Max Noodles or Tsim Chai Noodle in Richmond for wonton cravings.